Have you ever just wanted something easy and small to make for a gift or to decorate for a holiday? How about something quick and easy for your Secret Sister? 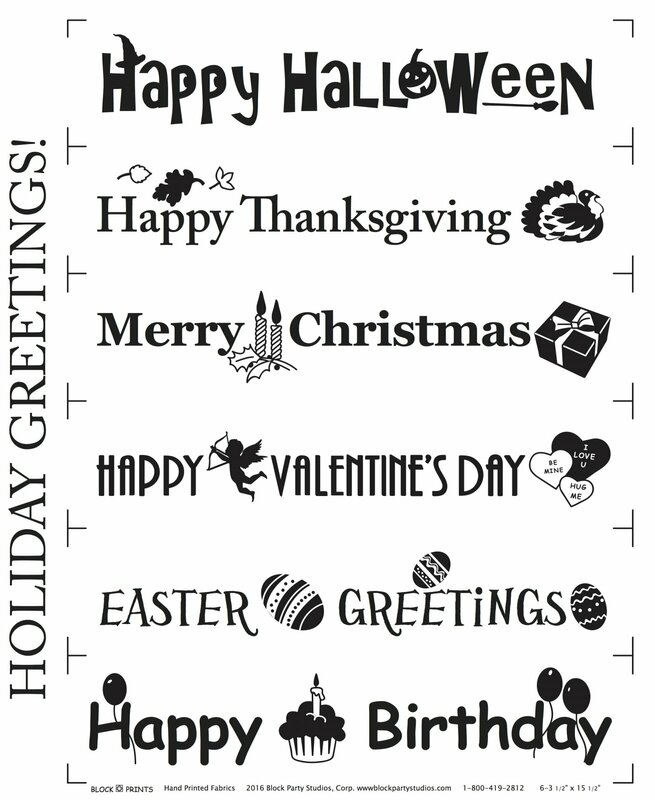 With our "Holiday Greetings" panel you can make mini-table runners that celebrate Christmas, Easter, Halloween, Thanksgiving, Happy birthday and Valentine’s Day. Panel comes in Natural or White with Black print.